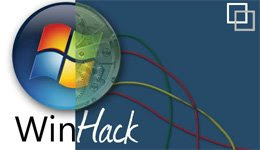 Windows Vista has a large amount of options when it comes to customization, as do nearly all Windows operating systems. Fortunately, Vista makes it even easier then you may believe to tweak your operating system. Already you might have known these Tricks.But for Newbies these Tricks will be really useful. 1. Go to “Start” and type cmd. 3. When you switch user, you should now be able to see an Administrator account. 1. Hit the Windows Key and X at the same time. 2. When “Windows Mobility Center” loads, you should be able to adjust settings, such as Display Brightness, Power Consumption, etc. 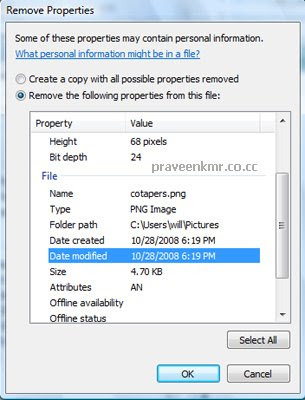 Nearly every single file on your computer contains some type of personal information – either information about the user, information on setting e.g. time, date, etc. In any case, it may be good to remove some of this information before making it available to the public, such as uploading a video or image online. You can now have Vista create copies of the selected file(s) before changing/removing any of the information. 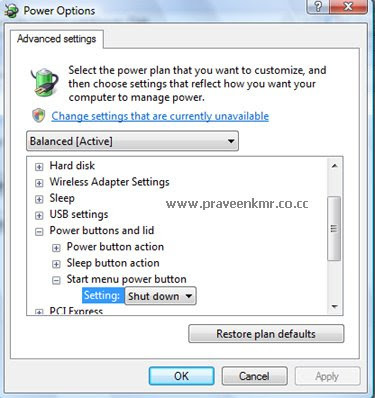 Unlike Windows XP, the Vista power off button simply puts your computer to sleep when you were actually intending to turn it off. Fortunately, this can be easily changed with a simple tweak. 3.Click “Change Plan Settings” under your current power plan. 3.Un-Select the box labeled User User Account Control (UAC) to help protect my computer. 4.Click “OK,” and you’re done!